These countries ensure that being vegan or vegetarian isn’t a crime – they ensure you get options and even mouth-watering delicious local dishes that will surely make you fat! It is of course ideal to read up a bit about the local cuisine depending on the regions before-hand. Check out this list of seven vegan and vegetarian-friendly countries for backpackers. This has to be the first one on the list – and if you have visited India, you would surely vouch for it! This is the best place for vegans and vegetarians. Beef is banned in India considering the cow is holy animal for the Hindus. Therefore around 400 million Indians are vegetarians; which means there are a whole lot of options to choose from – right from Indian food, to fast food, burgers, continental and everything under the sun – there is vegetarian. In fact, some restaurants even have a whole separate ‘veg menu’ and a ‘non-veg’ menu. though it is considered the best place to become a vegan or vegetarian. Do try the vegetarian cheese (paneer)! Many of these are spicy, a burst of flavours, legume-based, loaded with veggies, which have been perfected over hundreds and thousands of years. Vegetarian food is quite a common feature in Vietnam; unless you’re in rural areas. The people play with flavours and ensure your taste buds have a rollercoaster ride – some of the dishes are pure crazy – but they know to do it right! The Buddhist people in the country are bound to eat vegetarian food here. And so, there are tons of vegetarian joints found throughout the country. A word to remember while hitting the restaurant is ‘chay’ which means vegetarian – so keep a look out for it on menus and signs! Israel is haven for vegetarians. Their local and traditional food includes loads of dips, spreads, and salads. Their cuisine has very unique ingredients and flavours picked from all over the world. This has created a rich and diverse food culture. 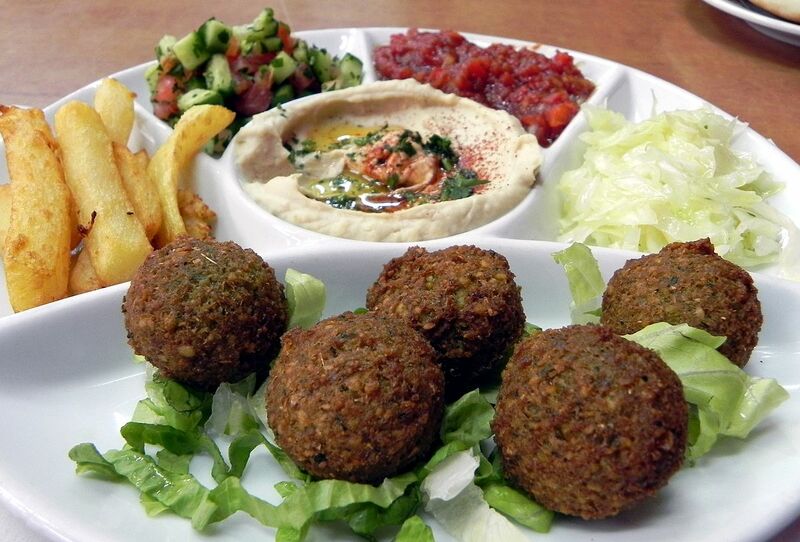 Some travellers and foodies claim Tel Aviv to be the best city in the world for vegetarians. Israel engages a lot in farming and produces a significant percentage of its own food. So the food you eat there primarily local fruits, nuts, seeds and fresh vegetables all the time. Another madhouse for vegetarians – pizzas, pasta, lasagne, soups, salads, risottos, and it goes on and on, Italy is known worldwide for its cuisine, much of which is vegetarian. Every region has its own distinct, traditional flavours that lend an interesting twist to the same dish. Italians take their food very seriously – and so, the food you get is a recipe crafted over millennia. An important part of Italian food is cheese – so many of these dishes aren’t great for vegans, but if you love cheese and eggs, dig in with both hands! 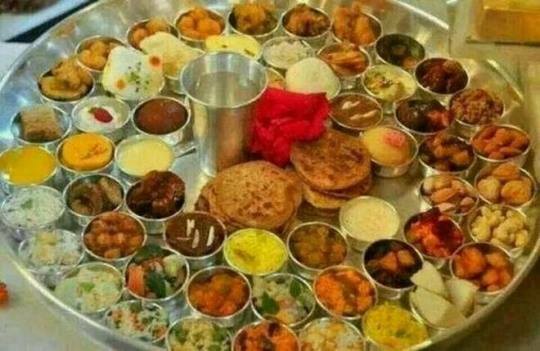 This is a country which becomes vegetarian for two days each week – Wednesday and Friday. It is quite a big deal considering their diet otherwise. All Christians and Muslims in Ethiopia fast (does not mean no food for the record) for these two days, which means they have to stick to a vegetarian diet. However, because of their fasting method, it’s still easy to get vegetarian food outside on all days. Similar to India, Sri Lanka is bursting with vegetarianism. You can eat every meal like a king in Sri Lanka. The only drawback – you get rice with varieties of curries – which are more like salads – but yum delicious! They are very creative in their curries; that makes you want to stuff in the mound of rice that is heaped onto your plate. Yes, it is a Balkan country. And yes, they love their meat. But, wait, you do get vegetarian food as well – how about a vegetarian sausage! This is a surprising twist to the list of vegetarian-friendly countries indeed. It isn’t as common as India or Sri Lanka for sure. But restaurants do have vegetarian options in Romania! Like not just food – but with options! It’s definitely the best choice for vegetarian food among all the Balkan countries! If veganism or vegetarianism is something that you are just ‘trying out’, then I suggest you don’t be strict about you as you travel. You can try a lot more of the local cuisines around the world and it would make things easier for yourself. It can be frustrating to be a vegetarian in a lot of places. Like me, if you are a vegan or vegetarian for moral reasons then I suggest, you should not to preach to meat-eaters. Do not try to sermonize to meat-eaters to convert, or talk about it with moral superiority. These are cultural differences and food is an inherent part of their cultural upbringing. Indicating to people that animals are suffering for their lunch which is a local cuisine may actually offend them. Food preferences are personal, and not universal. As a golden rule of travelling, the goal should primarily be to learn about other cultures, respect and celebrate the similarities and differences. You are my inhalation, I have few blogs and sometimes run out from to brand : (. Super useful to know. Vegetarians often have definitely to think about whether bthey will get local food or anything at all when they travel!